Garden Tools Corner Blog: How To Manage all those Leaves? How To Manage all those Leaves? Autumn leaves start out beautiful but eventually turn into a sore spot. Fall clean-up of leaves becomes a chore and an eyesore. Now is the time to dig in and get them cleaned up. How do we take on the perilous task I have been chasing leaves around my yard for about four weeks now. We had a very late frost, most of the leaves had fallen beforehand. I use a combination of tools to combat this influx of dead leaves. My tool kit consists of a bagger attached to the garden tractor, handheld blower, a large and small metal leaf rakes, and a leaf shredder. Don't forget a sturdy pair of gloves. Leaf Racking Options: Attach a bagging system to your lawn mower. If you have a large property like we do, with several mature maple trees or a bad back like me. (back fusion) A leaf bagger will make this all the more enjoyable. Keep in mind the leaves have to be dry, or they will clog up the mower and the bagger. The gas or electric handheld blowers are obviously a welcomed addition to my arsenal. I use the rakes only in tight spots around the house and flower beds where I can not get them with the blower. Last but not least the leaf shredder, grind up the leaves for compost. The most beneficial aspect of this labor-intensive chore. Besides the weather, this time of year is wonderful, not too hot not to cold. I really enjoy it. What to do with all those leaves? Just think of those leaves as garden fertilizer. Leaf mold, or semi-rotting leaves, are high in nutrients, a year or so from now I will be tilling this nutrient into the soil. The bottom of the pile will be ready, for a soil amendment or mulch. I use a leaf shredder to break down the leaves before composting. The leaves must be dry to shred, moisten them shortly after shredding or the wind might carry them away. Unshredded leaves will clump together and form a dense layer on the ground and will not let water pass through as much as shredded leaves. 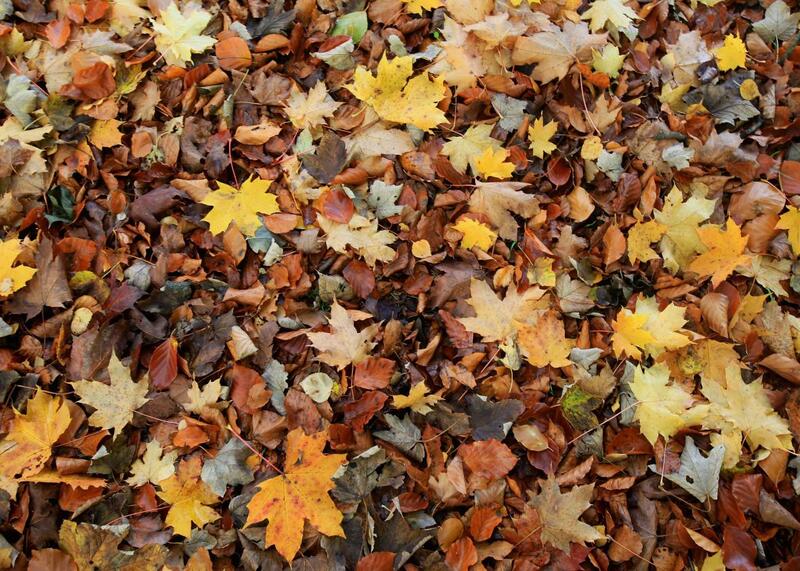 Combing dry leaves with green garden waste will speed up the composting process. If you are city dweller you will deal with your leaves with rake and tarp to transport the leaves. Which rake to chose from? Bamboo, plastic, or a metal rake? Bamboo and plastic rakes are just fine for dry leaves. Usually the cheapest. You might get two or three years out of them. They only perform well on dry leaves and not so much on wet compacted leaves, They are light and easy to maneuver. Unless you keep them out of the elements they will not last very long. Steel rakes: By far the best for your buck. The thing to look for in a good rake, the rake head should be at least 20-24 inches wide. The tines are closely spaced and slightly curved in order to break up the damp leaves. The handle whether it be wood or metal, nice to have one with a cushioned or foam handle for comfort and less fatigue. Check to see how it is attached to the handle. Make sure it is fastened securely not just stapled on. spot welded or a band clamp will give you years of dependable service. 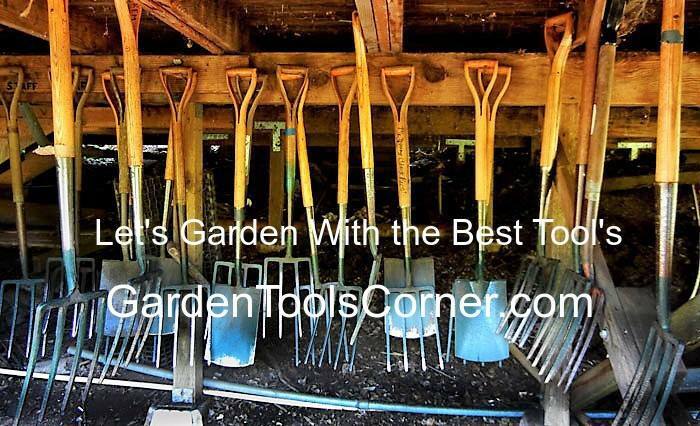 The love for gardening has brought us to the gardening tool business.Unique garden tools brought to you by GardenToolsCorner.com Hand tools, garden supplies, pots and planters, power tools and composting supplies Garden Tools Corner.com. FREE Shipping. We do not sell generic tools by any means. These tools are for serious Gardener,s as well as beginner's who enjoy well-crafted tools. No disappointments. Happy Gardening. Enjoy!